Home Career Development Jessup Job Board app – download today! Posted on February 13, 2018	by Christy Jewell	in Career Development	with Comments Off on Jessup Job Board app – download today! 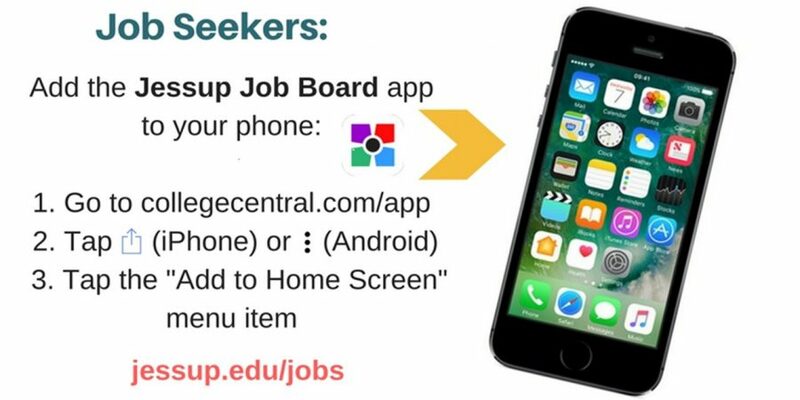 Did you recently receive an email about the CCN app and Jessup Job Board? Job searches and applications are even easier using the CCN app.